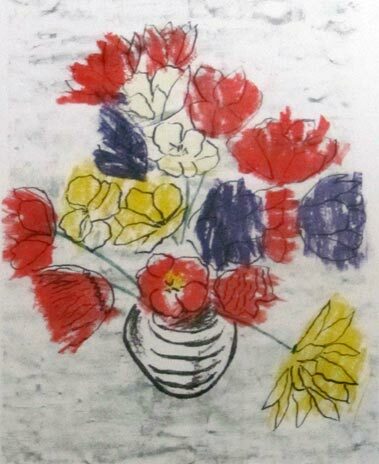 Flowers I Lithograph, 2013 – Some years ago I started taking photographs of vases of flowers (usually looking down from above to give a distorted perspective) with a view to using these as source material for a series of medium sized paintings in oil on canvas. 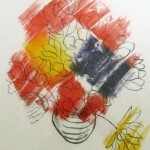 However, once I started doing lithography I decided to use that medium instead. 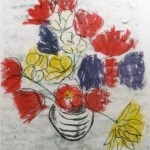 Flowers I is itself a mini-series where Flowers I (1) is a six-layered image with the final layer (in black) being the drawing of the flowers themselves and the vase. 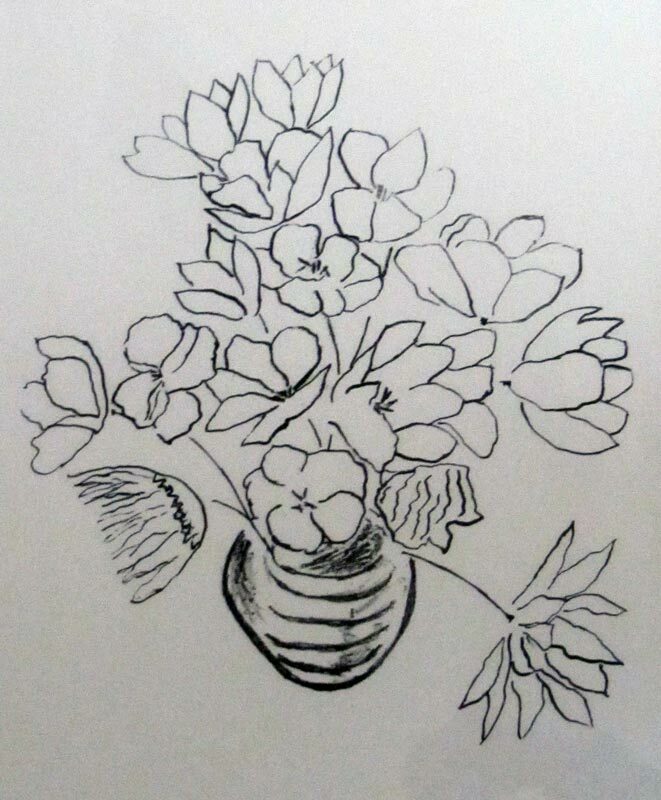 Flowers I (2) then takes this final black line drawing layer on its own to which is added another line drawing of the stems. 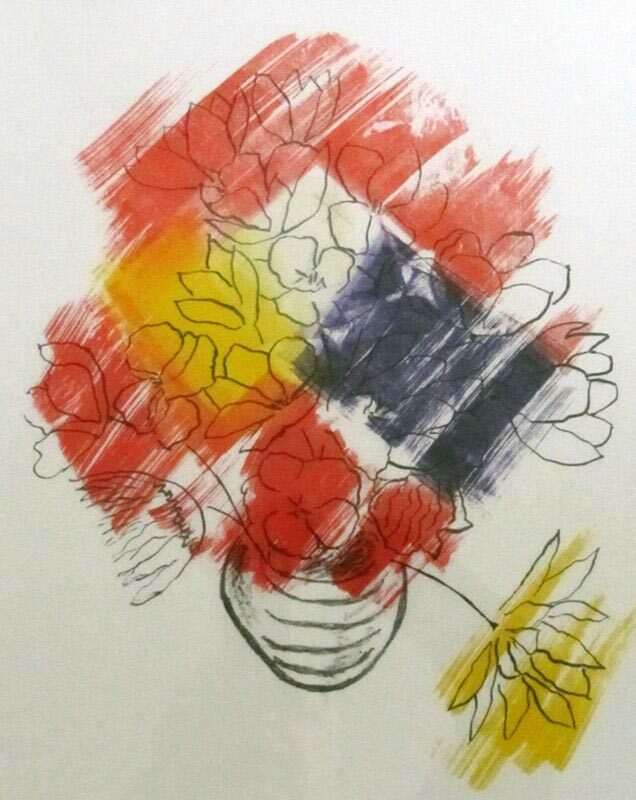 Flowers I (3) takes (2) and applies the same colours for the flowers as (1) but as a single layer using various rollers as drawing tools. 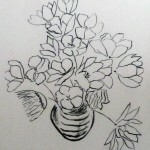 Thus the drawing of the flowers and their colour are abstracted from each other and have an identity of their own. 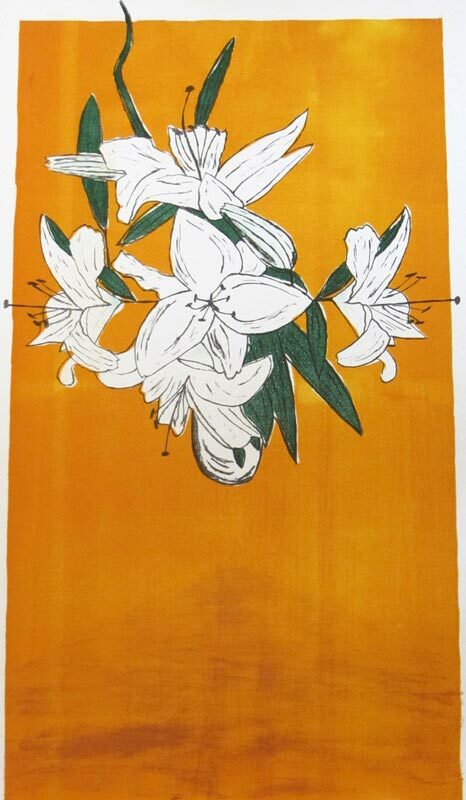 Flowers II, Lithograph, 2013 – Based on some of these distorted photographs of flowers (which were themselves influenced by Salvador Dali’s Christ of St John on the Cross – a source I consciously returned to) a simple vase of white lilies seemingly floats in a barren landscape. 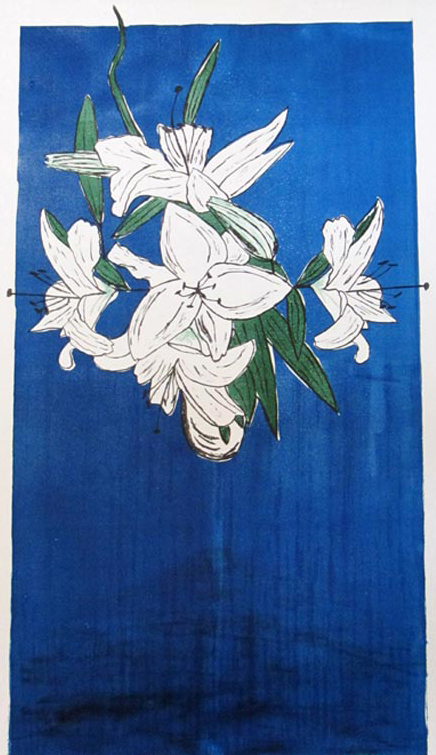 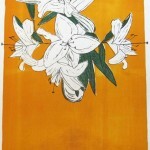 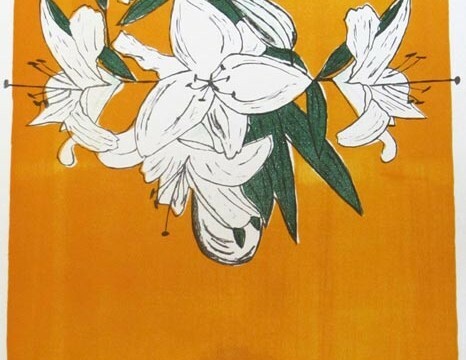 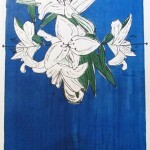 There are allusions to the cross, the nails and white lilies are themselves symbolic (“Bride carried they follow the bier” – Teri O’Neal c. 1968).